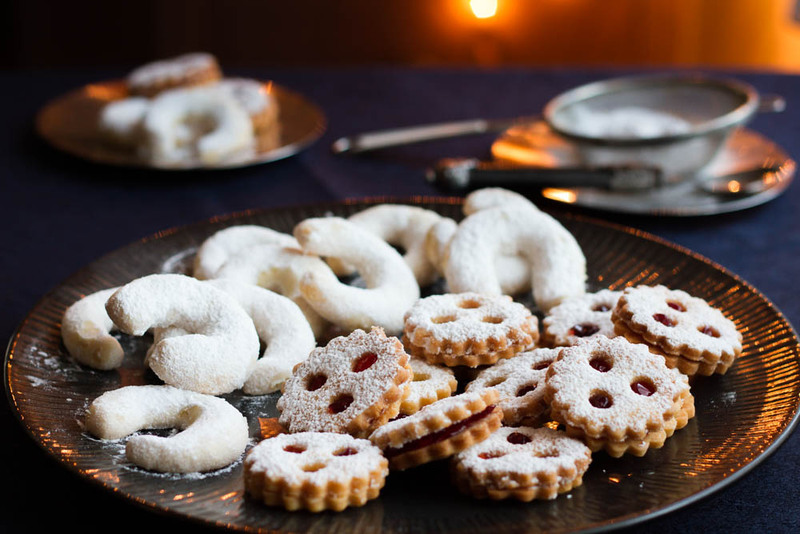 In Austria there are called Linzer Augen (“Linz” being a city in Austria and “Augen” means Eyes, because of the three holes in the cookies I guess?). I hardly know any cookie that has a bigger variety of names given per region. I know that in Switzerland they are called Spitzbuben. 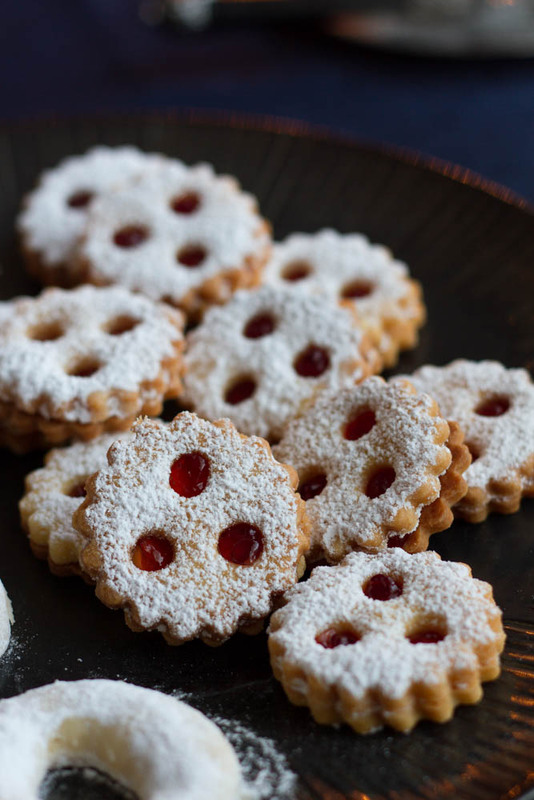 At home we always very simply called them Marmeladenkekse (= Jam Cookies) 🙂 There are crumbly and soft and melt in your mouth yummie. You have different sized cookie cutters for them, even with different symbols in the center like only one hole, hearts or even smileys! Just have a look at the internet, I am sure you will find a whole bunch of different cookie cutters. I prefer mine to be classic with three holes and small (Ø 3cm), so you can eat them in one bite! 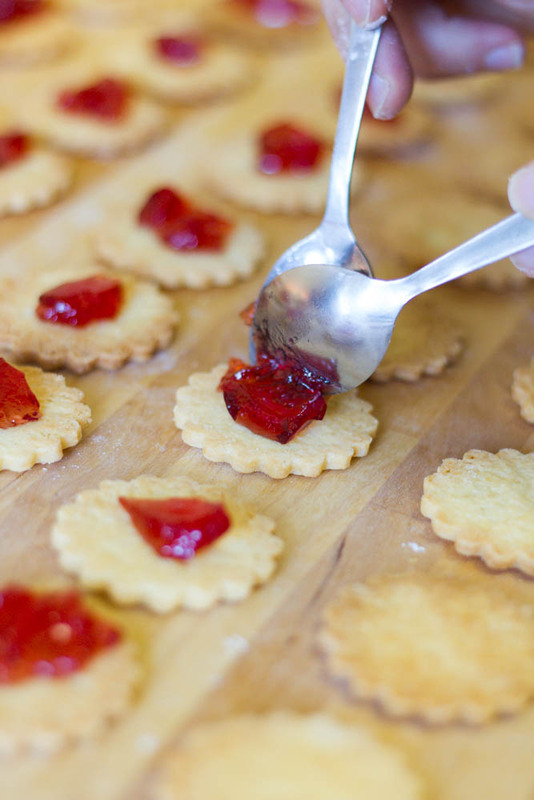 On the bottom add about half a teaspoon of jam and put the dusted cookie on top. 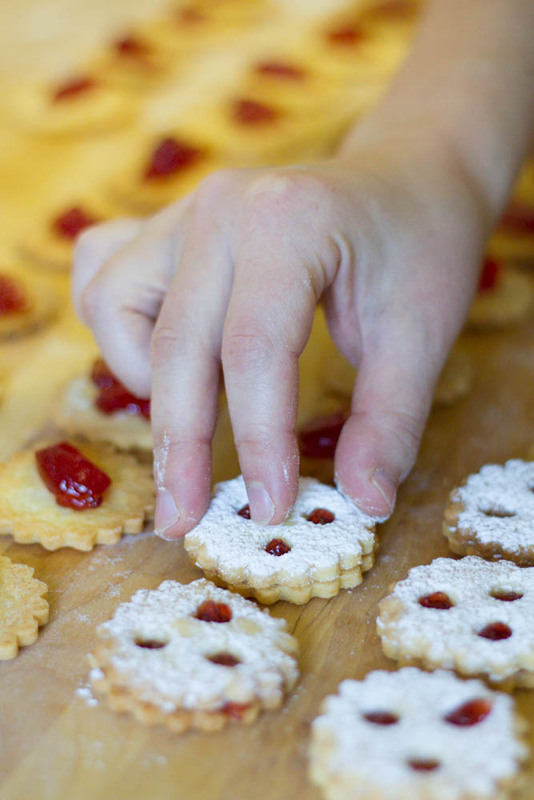 Be gentle, the cookies can break easily! TIP: Make the dough one day before and store in the fridge, wrapped in clingfilm. These look so cute and dainty. I would probably end up eating four in one go! What is vanilla sugar? 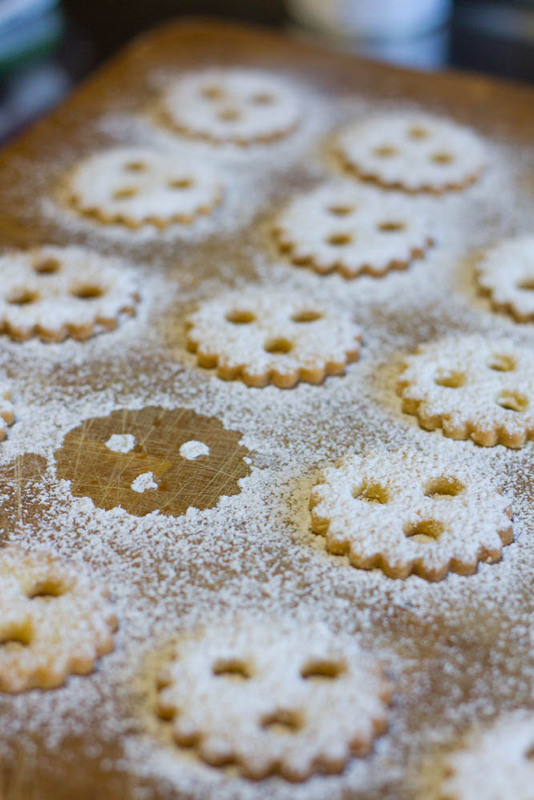 Your cookies are mouthwatering.